MMA fighter Umar Vakhaev was hospitalized after being attacked by a group of people in St. Petersburg on the weekend. Vakhaev, a native of Grozny, Chechnya, and who has a pro record of five MMA fights, was taken to hospital along with one of his attackers, following an altercation at a nearby restaurant in Russia’s northern capital on Saturday night, local media report. A video of the conflict which emerged online shows a group of men in shirts approaching the 25-year-old athlete while he steps back from them. As one of the group comes right up to Vakhaev and reaches to his shoulder with his right arm, the fighter lands a punch on his chin, sending him to the ground. As the floored attacker gets up and one more person from the group runs at Vakhaev, the video footage breaks up. Another video captured by a city tram’s dash camera shows the group of men kicking a person lying on the ground, presumably Vakhaev. 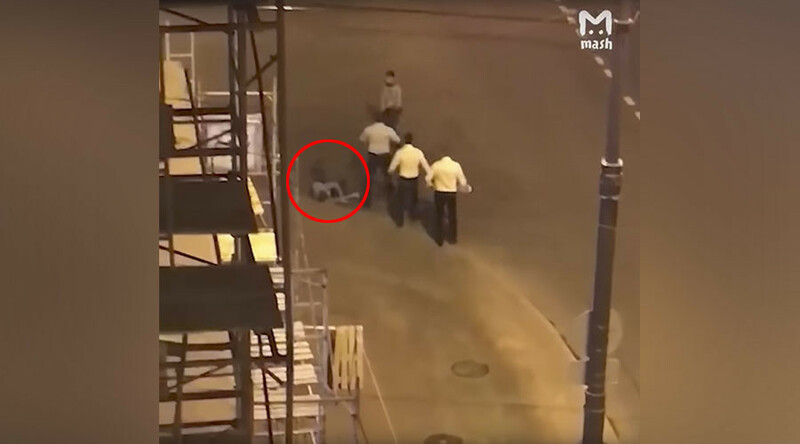 The attack was also confirmed by eyewitnesses to Russian media, who described a group of men beating a bloodied person on the ground. Witnesses also described hearing two gunshots. St. Petersburg police confirmed to TASS on Sunday that a 31-year-old man received a wound from a pneumatic gun, while Vakhaev suffered “bodily injuries.” However, police stressed that the injuries are not life-threatening. Throughout his MMA career, Vakhaev has recorded four victories and one decision loss. He has also participated in one of the first tournaments of Russian MMA promotion, Absolute Championship Berkut, based in Grozny, while also representing their team - Berkut Fight Club back in 2015.